This betting extravaganza is custom made based on the 2018 World Cup in Russia. Its working assumptions are the correct prediction of winners in specific categories throughout the stages of the tournament. However, the game has limitations. 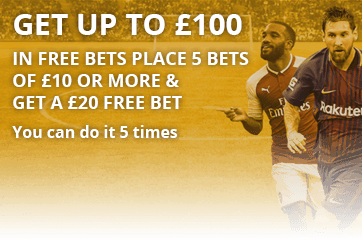 The game is only accessible to bettors with registered accounts with Sportingbet, a bettor can only win one prize depending on his or her prediction, submission can only be done once with no alterations and real money bets are the only admissible ones. Operationally, the Central Europe time is the only one recognised and the bookmaker reserves all rights to amend rules and regulations. The currency of choice is the Euro. However, the American Dollar and the British Pound are exchanged using the same rates, save for other wallets that have varied rates. The lowest prize, £1 FreeBet is won when the customer correctly predicts the overall winner of the tournament. The next prize is the £3 FreeBet. It is won when the customer correctly predicts the number of goals scored by both teams in the World Cup Final within the 90 minutes of play. It excludes extra time and the penalty shoot-out. The third price is the £33 FreeBet. 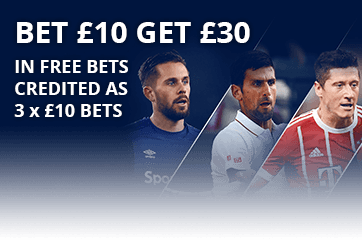 To claim this prize, the customer needs to correctly predict the winners of Group A through to Group H. if the customer chooses to bet on this price, he or she is not eligible to place a bet on £3 FreeBet and £1 FreeBet. The second highest price on the predictor series is the £33,333 Bank Share. It is won if the gamer correctly predicts the eventual winner, the second and the third best teams of the tournament. The highest prize on offer is the £333,333 Bank Share. The winner must predict the correct winner and runners-up of all the groups, the knock-out stage winner, the quarter-finalists, semi-finalist and the correct score of the final game excluding extra time and the penalty shoot-out. In the first 3 prizes, a customer is allowed single or multi-bets and the prize money is remitted between 24 hours and 7 days after the tournament. The highest and second highest prizes are shared equally based on the number of winners in the category. All prizes are paid after the end of the tournament.